Variations on a Natural Theme is bird-watching through the exquisite eye of a poet. 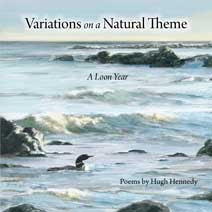 This is a book for those who love loons and other birds of the ocean as well as for those who are fascinated by the power of poetry to illuminate the natural world. 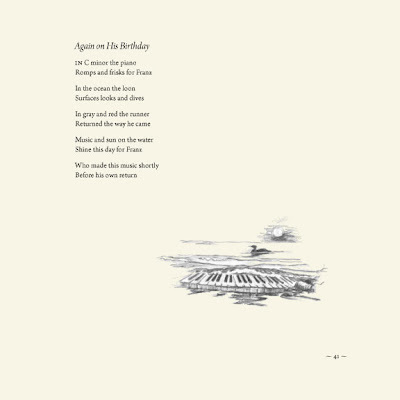 Each poem reminds us of the sudden appearance and disappearance of beauty—and its endless variations. Hugh Hennedy lives in Portsmouth, New Hampshire. His poems have been published in many journals, among them Puckerbrush Review, Beloit Poetry Journal, Tar River Poetry, Hawaii Review, and James Joyce Quarterly. 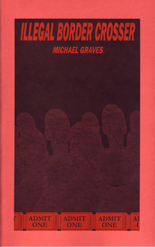 His previous books of poetry are Old Winchester Hill (Enright House, 1993) and Halcyon Time (Oyster River Press, 1993). Jan Mercuri Grossman lives in Amherst, New Hampshire. She is an eclectic artist, working with many types of media and materials. She began her study of art at the University of Connecticut. Recently, she has turned to oil painting to express her love of the natural world.